The dramatic feathery foliage of this fern make it a lovely and useful Accent for a Shade Garden or Water Garden. In appropriate sites, Osmunda cinnamomea matures into a verdant and soothing Groundcover or Mass. 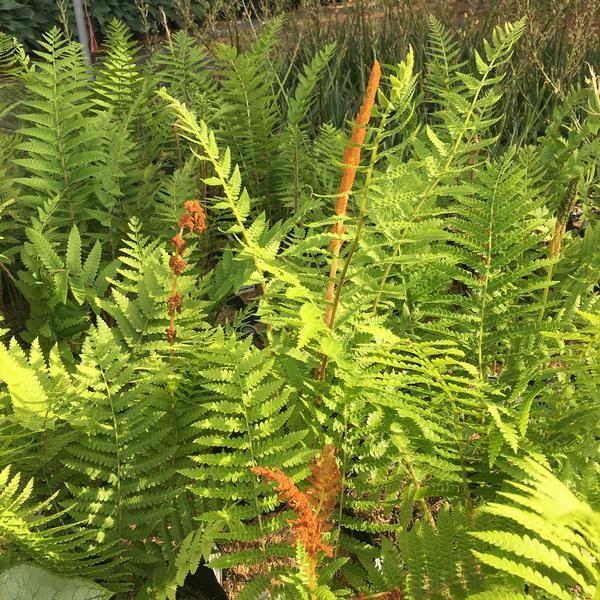 This fern can control erosion and serve as a valuable component of Deer Resistant Plantings, Low Maintenance Plantings, Rain Gardens, Wetlands and Wildlife Gardens. 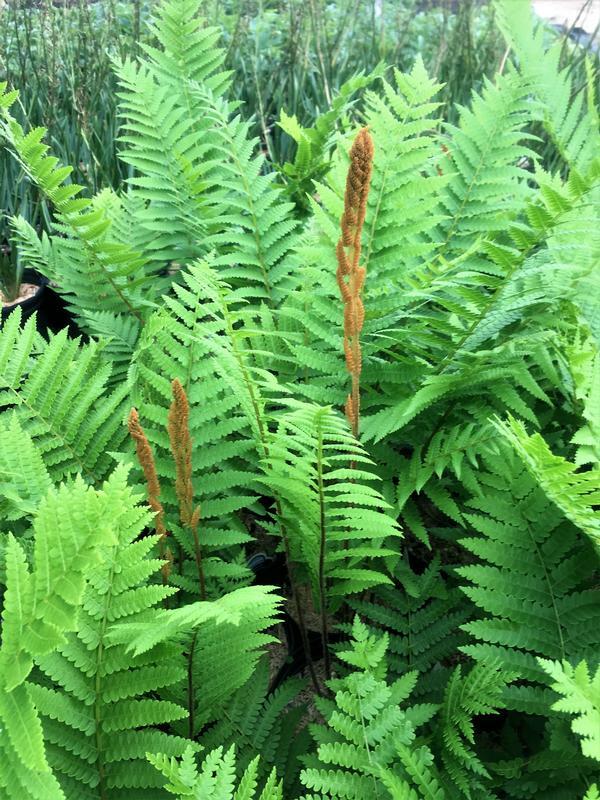 Osmunda cinnamomea is a bold rhizomatous fern with a striking vase shaped habit. Plants have a substantial woody crown that produces dark wiry fibrous roots and short spreading rhizomes. Grows best in dappled to light shade with rich consistently moist or wet soil. Thrive in humus rich sandy or peaty soils with acid pH. Tolerates part sun in wet sites or garden situations with regular irrigation. Pest resistant and unpalatable to deer and other herbivores.